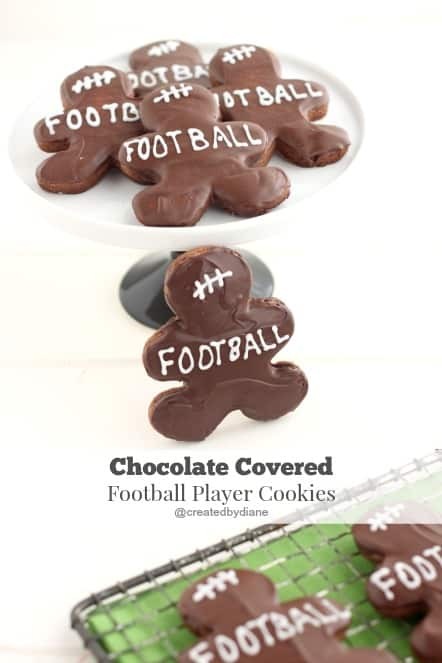 Double chocolaty delicious football player cookies that are NECESSARY to cheer on your favorite team! Do you sit in front of the TV and watch the game…..play by play until the whistle is blown? or you are just listening to the big game in the background? 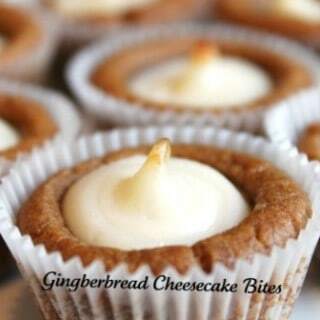 and if you guessed baking and eating cookies, you guessed correctly! Taste testing goes without question. 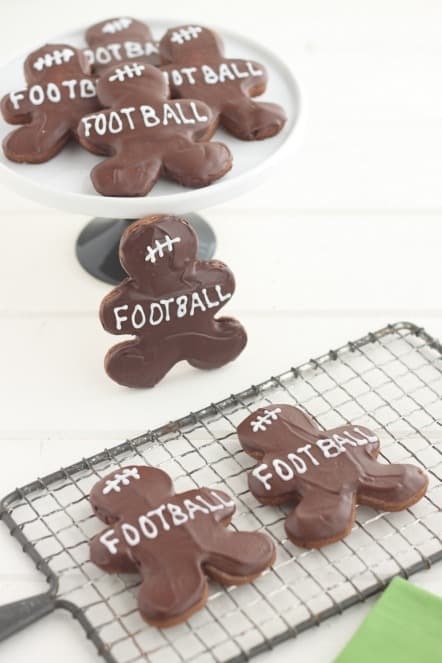 These adorable football player cookies are a must make! Rolling out cookie dough in between wax paper allows you to not dry out the cookie dough with additional flour. Additional flour will make cookies have a dryer texture. 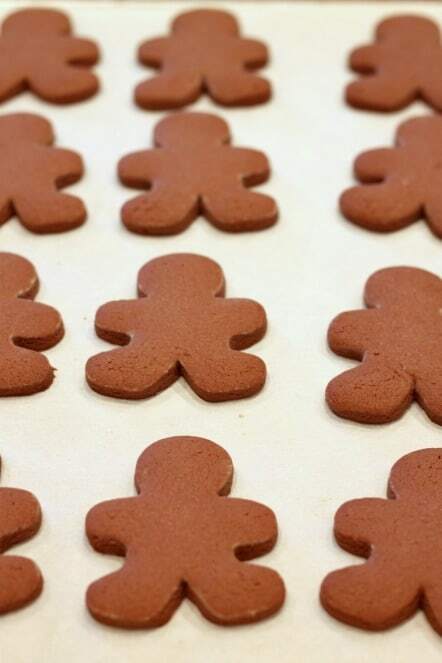 Placing 1/4″ dowels on each side of the wax paper will keep the dough at the same thickness so all the cookies are the same thickness and will bake evenly. 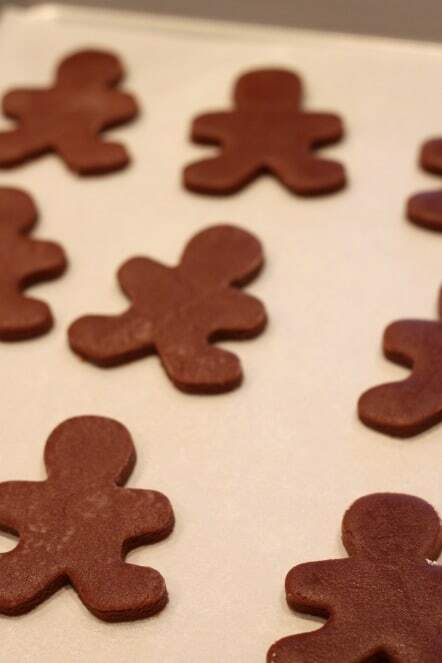 Dip the cookie cutter into flour so the cookie cutter doesn’t stick to the dough and will make allow for clean lines on the shape of each cookie. 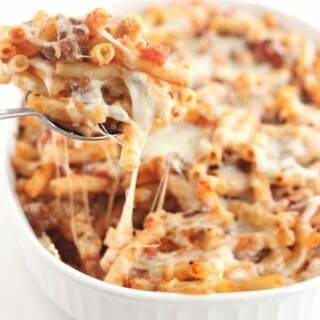 Dust off any excess flour with a silicone pastry brush. Space the cookies out on the baking sheet, don’t over crowd cookies. These cookies hold their shape very well, but all cookies swell when they are baked and over crowding will cause inconsistencies in baking. Allow cookies to completely cool before applying chocolate. 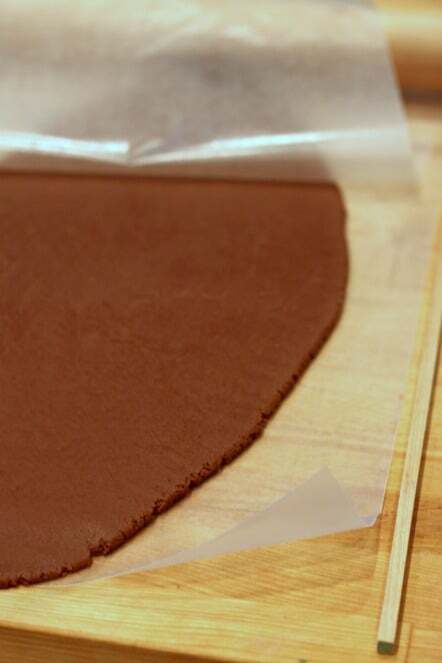 Spread a thin coating of heated chocolate candy melts over the cookies and smooth with a small offset spatula. then pipe on some white glaze icing for the football laces and words. 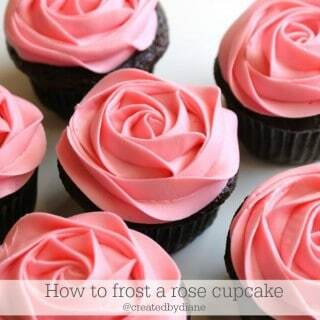 Allow icing to dry completely before stacking. 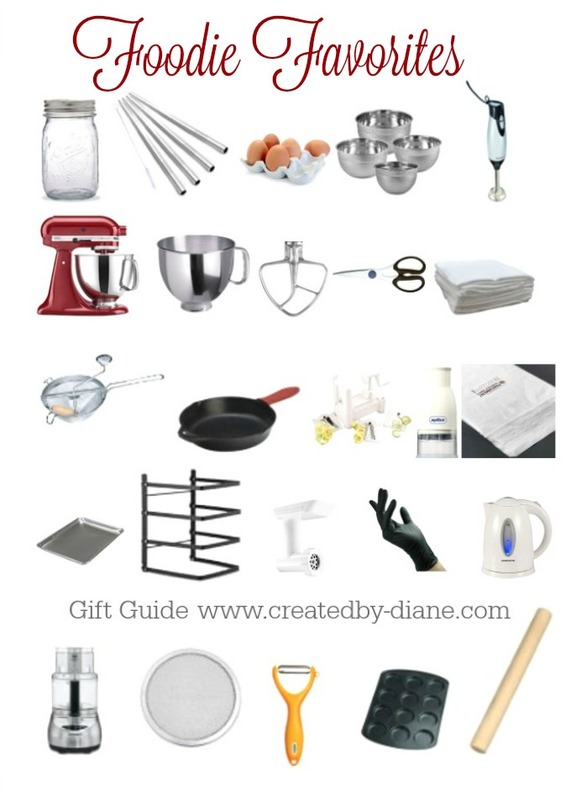 roll out cookie dough in between wax paper and to get the dough even so all the cookies come out the same thickness, place ¼ inch dowels on each side and roll a straight rolling pin across the dowels, than dip the cookie cutter into some flour and cut cookies. 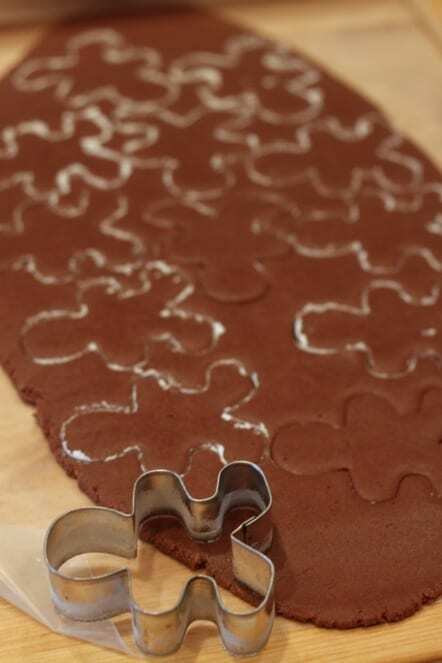 I use a 3 inch gingerbread cookie cutter. when cookies are completely cooled spread melted chocolate candy melts over the tops of the cookies. pipe on white glaze or royal icing to create the football laces and write football across the arm area of the cookies. 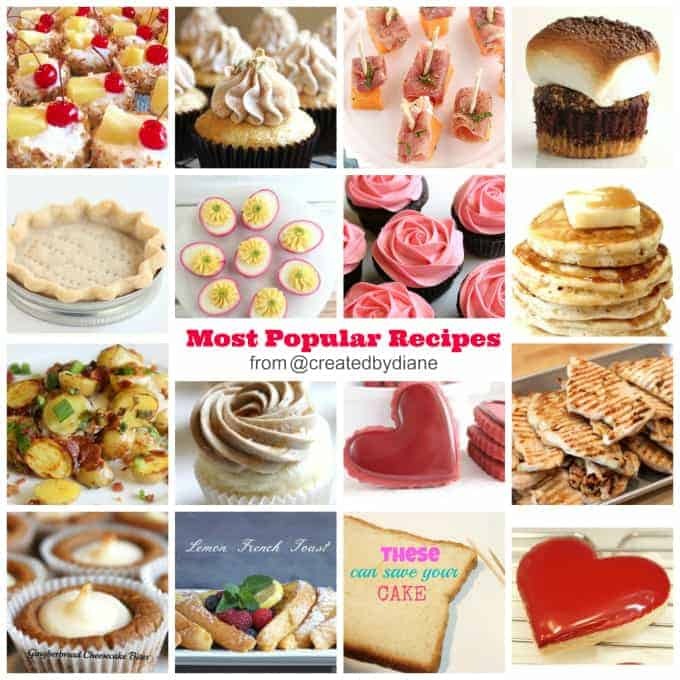 *chocolate candy melts will coat the cookies smoothly and easily, melted chocolate chips or the like are not recommended, they will not dry with a smooth pretty finish. What a creative idea! My team is not doing so great this year. Ah well that’s always cookies! 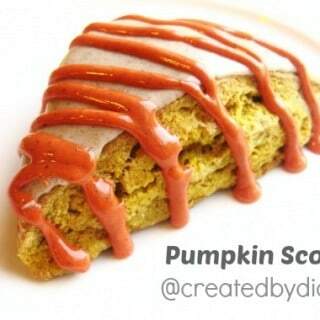 Pinned to try this weekend! omg my husband would go NUTS for these! !